Bob Kramer has been making marionettes for over 45 years. His shop is in the Central West End. Along with his partner, Dug, Bob performs a marionette show once a day, reservations required. 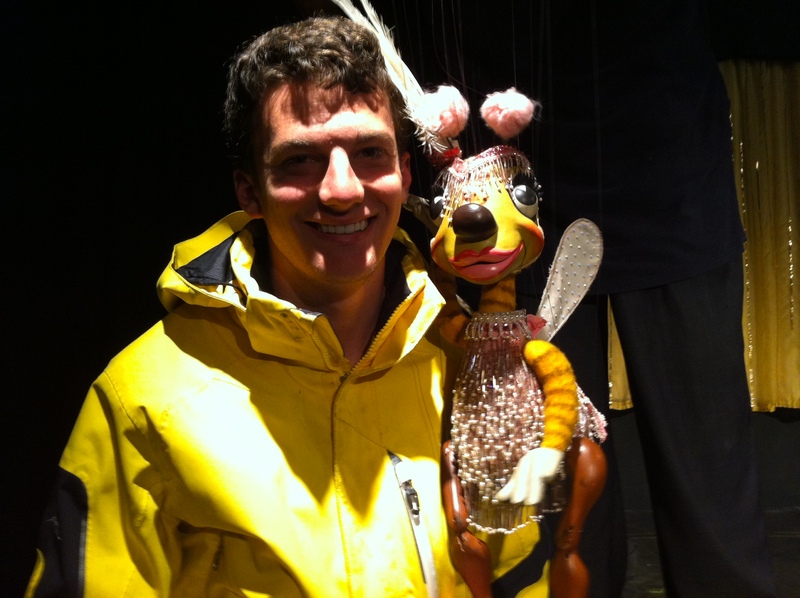 Bob and Dug tour all over the world with their marionettes, most recently to Serbia. Walking into the theater/factory, I could immediately tell that this place is special. The walls are jumbled with newspaper articles, letters from other puppeteers, and of course marionettes. The puppets are large, between 1-5 feet tall. Dug was sitting at the desk and checked me in. The only other people there were an older couple and their two super cute grandchildren. Dug explained that everyone else couldn’t make it so it would be a really small, intimate show. Hanging out with Lola, a showgirl bee. Dug started off the show by explaining how Bob and he make puppets. The process starts with their imagination. They come up with the character and an entire backstory. In fact, Dug talked for about 5 minutes about one of the characters he and Bob helped create. 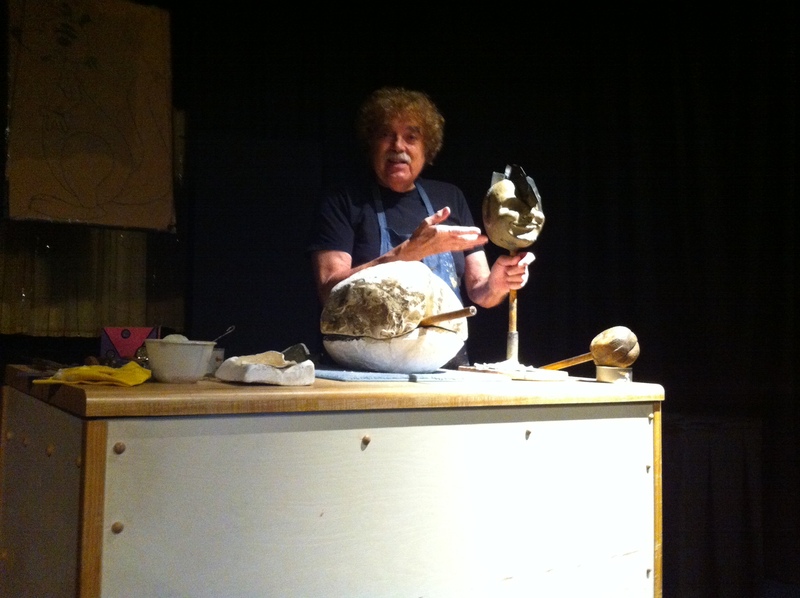 They then create a clay mold for the marionette before crafting the puppet using a fiberglass-like material. Dug explaining how to make a puppet. 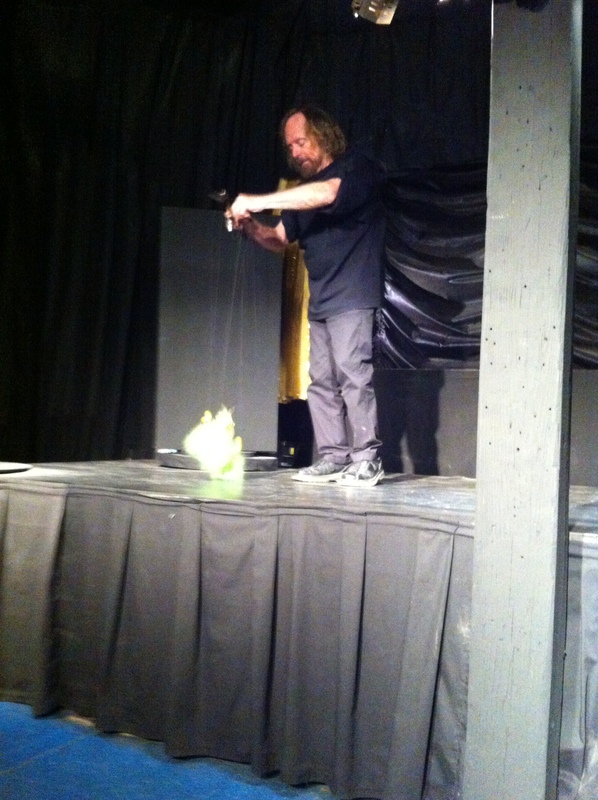 After the lecture, the marionette show began. Dug and Bob alternated in performing with the puppets. The “emcee” of the event was a moose puppet named Marvin. Other puppets included a dancing rat, a cricket, and other various animals. The puppets all sang to show-tunes that sounded like George Gershwin songs. The performance lasted 2 hours and I was entertained the entire time. Bob Kramer’s Marionettes is a hidden gem of St. Louis. It is rare to find someone who has perfected a craft over 50 years. Even though the show is geared towards young children, it is great for people of all ages.